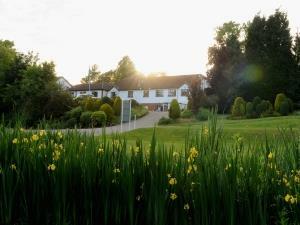 A superb 18 hole golf course set amongst beautiful landscaped grounds. Generous fairways, challenging water features and large, contoured greens make this course an enjoyable challenge for golfers of all ages and abilities. Best Western Plus Ullesthorpe Court is an ideal spot to focus on your game and lose yourselves in the tree lined and lush fairways of rural Leicestershire. The course is one of great variety in terms of length, starting and concluding with two monster par fives yet also featuring no less than four potentially driveable short fours, albeit rather heavily defended ones. The Woodland Restaurant is open 6 nights a week offering a la Carte and Table d’hôte menus. It is advisable to make a table reservation to avoid disappointment. Golf Days available from £29.95 per person to include Coffee & Bacon Roll on arrival and 18 holes of Golf. Full Golf Days are available from £59.50 per person and include: Coffee & bacon roll on arrival, 27 or 36 holes of golf, a light lunch between rounds followed by a 2-course restaurant meal to finish your day. Frolesworth Road is located off the B577 north west of the town of Lutterworth. The hotel is set in 120 acres of glorious Leicestershire countryside yet only 10 minutes from the motorway network, M69 links Coventry (M6) and Leicester (M1).